Mayor Eric Garcetti announcing the end of the L.A. Unified School District (LAUSD) teachers' strike on Tuesday was reason enough to celebrate. Then Los Angeles Public Library (LAPL) City Librarian John Szabo heard something that made him even happier. More than a week earlier as the strike loomed, the library—and its 72 branches and central library—sent out the word: They would be open and available, ready to help students and families. 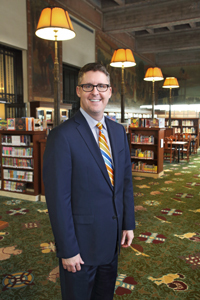 "I was really delighted and pleased for all of our staff at LA Public Library when, during the announcement of the agreement, the mayor mentioned the library specifically and the programs that we provided during the week," Szabo says. "That was great to see that at that very important announcement, the role that the public library played was highlighted and recognized." "We made a concerted effort to provide additional programs, both passive programs and active programs," Szabo says. While unusually heavy rains in Southern California may have kept people in during the early days of the strike, he says, "All in all, we counted over 8700 kids and teens in the library during the daytime. I heard from a number of our librarians that they noticed an increased number of teens in our libraries during the day. "We’re really, really proud that the library could play a role during this week. I think it was an opportunity to highlight the great work that we do for young people. It was great way to draw attention to the partnership that we established about two years ago with LAUSD where we entered into an agreement with them to issue a library card and library privileges to every single student at LAUSD. The fact that students had the ability to access online resources and use those cards to come in to our branches was a real plus." For parents, who were becoming increasingly concerned about safety issues at schools with administrators and substitute teachers standing in for those on strike, according to media reports, the library offered an option. And LAPL became a strike-week alternative for some teachers as well. 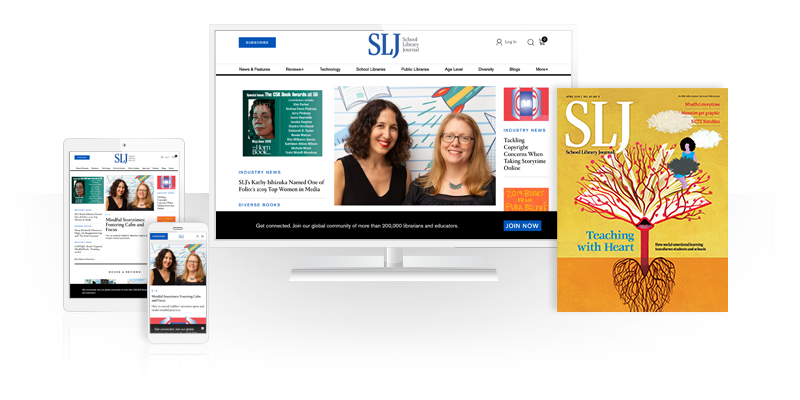 "I noticed that as we had thousands and thousands of teachers protesting and picketing in an incredible show of advocacy in downtown LA, many of them took the time to come into the [central] library and use our resources," he says. "Sometimes at our exits, there were signs propped against the door as they came in to make use of library resources or maybe see some of our exhibits or, in some cases, just get out of the rain in what was a pretty messy week. That was nice to see that we were able to be there for some of the teachers as well as the families." This past week, he says, is a reminder of public libraries's role at all times. "We’re so connected to the community," he says. "We’re very tuned in to whatever the significant issues of the day are. It’s a reminder that the public library has a role to play not only during the week of the teachers' strike, but we have a role to play with public health issues, with homelessness, with immigration, with all sorts of matters that are front burner issues in our communities, and I’m always proud of how our libraries step up."